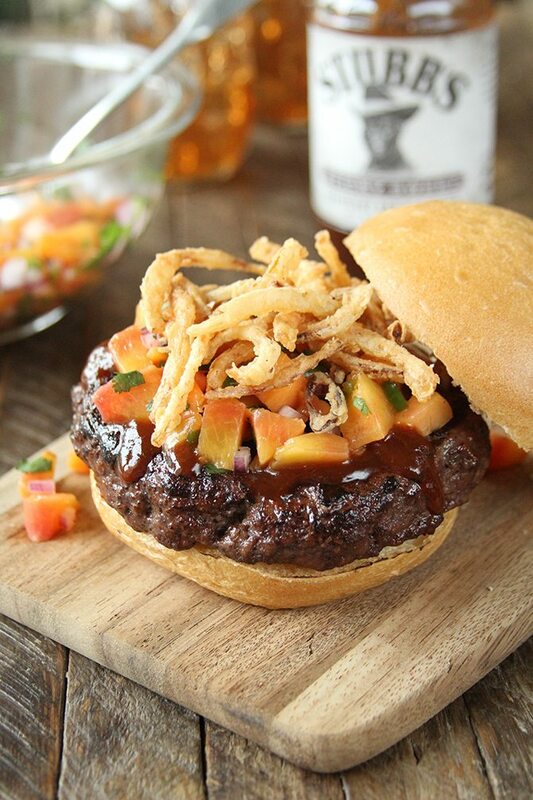 Ditch the basic ketchup and mustard for your Memorial Day Burgers and let Stubb’s Bar-B-Q Sauce give your bbq a kick! 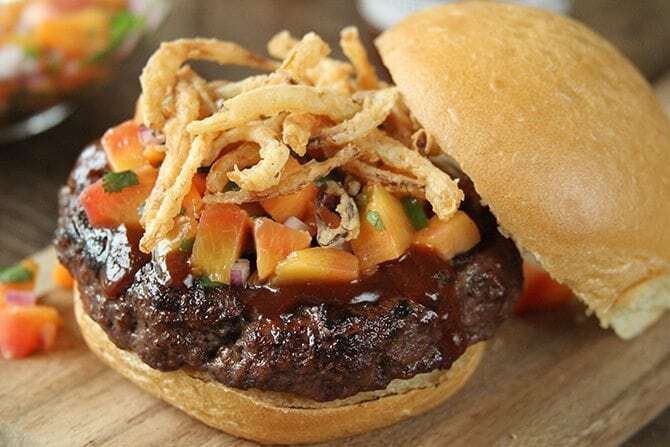 These Sticky Sweet Pork Burgers with Peach Salsa are way outta the box and even more outta sight when it comes to flavor! I chose Stubb’s Sticky Sweet Bar-B-BQ Sauce because it is the perfect complement to the sweet and tangy salsa. And then there are fried onions… and who can resist those!?!? It may seem like a weird combination, but this Peach Salsa is going to blow your mind. The sweet and tangy flavors with just a touch of heat are perfection against the sweet bar-b-q sauce. Like even more heat? Leave the white ribs of the pepper intact when dicing for even more bite. Stubb’s Sticky Sweet sauce, is a thick, rich sauce with brown sugar and molasses for an authentic Southern flavor perfect for dipping, infusing and of course, slathering on burgers. 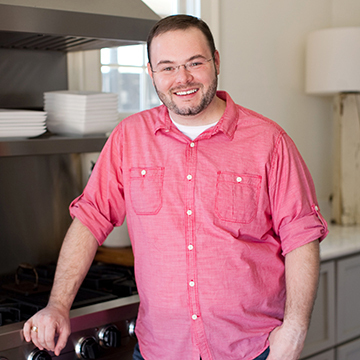 And because we’ve worked into into the meat and topped the burgers with it, you’ll have even more great flavor! 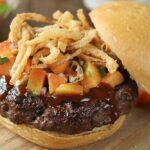 Sweet, sour, tangy, crunchy, with a little heat; this burger has it all! 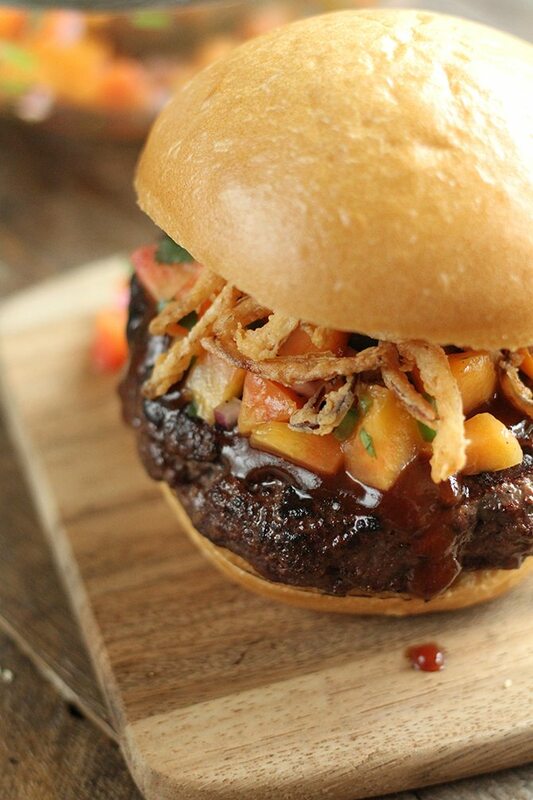 Celebrate Memorial Day and National Burger month with this beauty. You won’t regret it! Season the pork generously with salt and pepper. Add 1/2 cup of the bar-b-q sauce to the meat and mix well. Form into 4 equally sized patties. 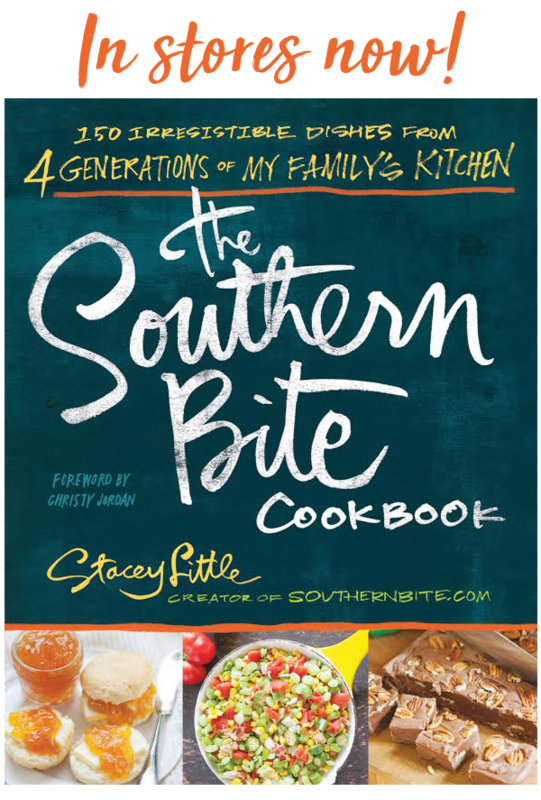 Place a deep thumbprint in the center of each patty. This well help them cook evenly and not puff up. Set aside. 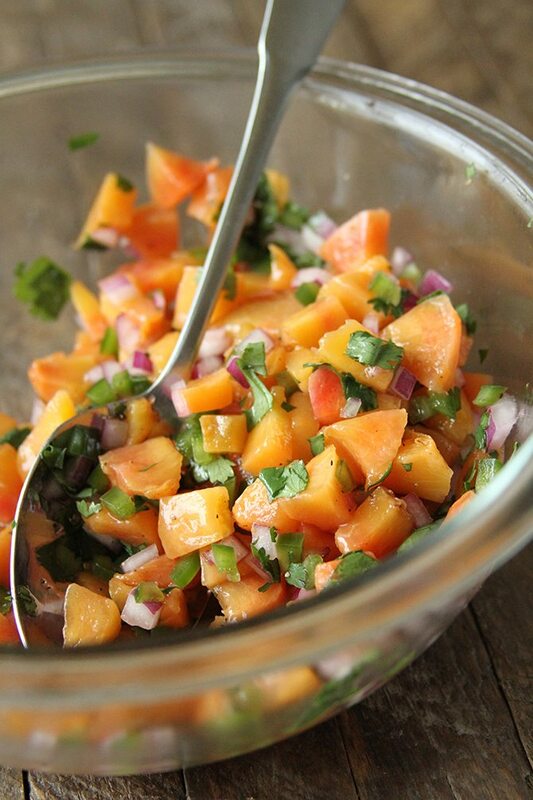 Make the peach salsa by mixing the peaches, jalapeño, red onion, lime juice, and cilantro together in a medium bowl. Add salt and pepper to taste. Place in the refrigerator. Grill the burgers on medium-high heat until they are cooked to your liking. While the burgers cook, make the fried onions by heating about 1-inch of vegetable oil in the bottom of a heavy-bottomed cast-iron dutch oven or skillet. Slice the onion into extremely thin slices. Soak them in buttermilk. Whisk the flour and salt together in a small bowl. Once the oil has reached about 350°F, dredge a handful of the onions in the flour and carefully spread them evenly into the oil. Cook for 3 to 4 minutes to until just golden brown. Drain on paper towels. Repeat until all the onion has been cooked. Assemble the burgers by placing a patty onto the bottom of each bun and then top with about 2 tablespoons of the additional bar-b-q sauce. Add 2 to 3 tablespoon of the peach salsa on top. Top with fried onions and the top bun. Enjoy! This post is sponsored by Stubb’s Bar-B-Q, but the opinions are all my own.